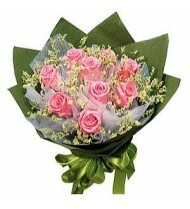 We are based in Bangkok we have been in the flower business since 2004. We work with hundreds of local florists throughout mainland Thailand and can also organise flower delivery to several islands including Phuket and Ko Chang. Order before 4.00 PM for same day delivery in Bangkok, Pattaya or Phuket. For other areas we still offer same day delivery for those orders placed before 2:00 PM. Generally flowers like roses (of several colours), gerbera, lilies, and chrysanthemums are always in stock and available last-minute. We focus solely on delivering flowers. We do not do large floral displays for weddings or other events. The standard gift for every girl. Includes lovely roses, cute teddy bears, and chocolates. This large gift pack contains everything you need to make your lady happy. The classic Thai style bouquet. 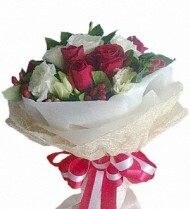 It has a very beautiful arrangement, the perfect present for any occasion. 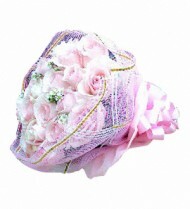 An amazing arrangement of pink flowers wrapper in a pink bouquet. Specially made just for her. 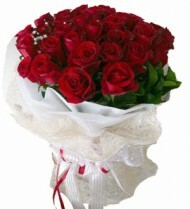 A classic bouquet with red roses, tied with a red ribbon. 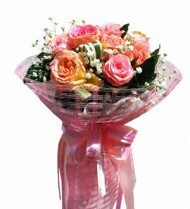 The bouquet shows both is stylish and sophisticated. Teleflora is the oldest "online business" in the world. It started in 1934 some fifty years before the first web-page. Originally it worked via Telegram. 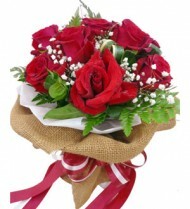 Customers in one country, could go to their local florist shop and order flowers to be delivered in another country/city. Financial clearings were set up and monthly payments were settled between florists. There is one Teleflora member per country. 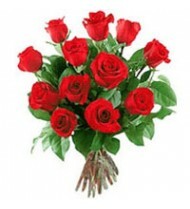 Members like us are responsible for all florist shops in their country who are agents in the network. 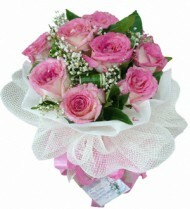 Quality is assured, as each florist is monitored for strict quality of flowers and service. In Thailand local florists do not usually have the capacity to process International payments, and often do not speak English.So we act as an intermediary ensuring everything goes smoothly. 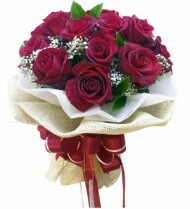 If you order flowers for delivery in Thailand through Teleflora International, you can rest assured that you get the highest quality flowers and service available, and should something go wrong or have any complaints the flowers can usually be sent again free of charge. A classic and elegant gift for that special person. 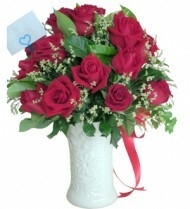 A beautiful arrangement of roses on a white vase. This bouquet is just amazing. Pink flowers beautifully wrapped in white. Smother her with your love with this amazing gift pack. Complete with chocolates, flowers, pillow and a bear. A gift pack containing roses, bear, heart pillow - chocolates and more. An amazing romantic gesture. The more roses the better. The classic bouquet for a gentleman. Rare and beautiful dutch roses tied with a fine ribbon. A perfect gift for your very special person. 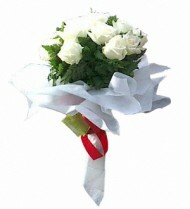 A classic bouquet that is made even more beautiful wrapped in white and a red ribbon. Simply amazing! A classic and stunning flower bouquet. The perfect bouquet for lovers. A classy basket that contains a beautiful arrangement of various flowers. An ideal present for any occasion. This classic bouquet of white flowers is just marvelous. Feel lucky on your special day. Nothing beats roses to capture the heart of the woman of your life. What better way than to give 9 roses and in her favorite color. The romantic gift set for your special person. Some beautiful flowers and a cute teddy bear to show your affection.